Kashmir has been on the boil since last July when security forces shot protesting civilians heading to the funeral of Burhan Wani, a Hizbul Mujahideen militant – setting off a cycle of violence during which, according to one account, “96 people were killed, more than 12,000 injured, 1,000 lost their vision in one eye after being hit by pellets and five were blinded”. Thousands of youth have also been reportedly arrested in recent months. The anger has not abated and starkly manifests itself periodically. The latest instance was during the Srinagar by-election on April 9 when hundreds of youth marched to polling booths, took some of them over, pelted stones and confronted armed security forces who in turn used live ammunition on them. A chilling video of a stone-pelting youth shot by armed security forces is now circulating on social media. Eight civilians were killed that day and around 200 injured. Only 7 percent turned out to vote; a repoll in 38 polling stations on April 13 saw only a two percent turnout. This has shocked some observers in Delhi, if not the Narendra Modi government. Liberal commentators are imploring the government to try a different approach before it is too late. 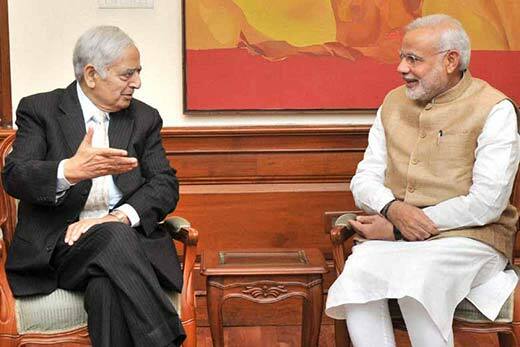 Politicians such as National Conference leader Farooq Abdullah and Congress leader P Chidambaram have said that India is “losing Kashmir” because of its “muscular policy”. Mainstream parties, to be sure, have been struggling with weak legitimacy for years now but at least they had the assurance of being outcomes of a democratic process. Mainstream commentators are disturbed because they probably sense in recent developments a sign that the model of managing Kashmir (that has served Delhi well over the decades) no longer works. The key tenets of this model, as gleaned from recurring patterns in the past, are that well-attended Assembly and Lok Sabha elections are important as they provide India with a measure of legitimacy abroad and counter Pakistani propaganda. This model also views state governments as important since they act as buffers that absorb much of the Valley’s critique against the Centre. To this end, governments – be they of the National Conference or the PDP – can maintain a measure of critical distance from Delhi; they will criticise the Union government on occasion and use state funds for patron-client relationships that help them win elections. Chief Ministers from mainstream parties will chair meetings with security agencies but be powerless to oppose measures that target civilian populations. The NC and PDP can call for the repeal of AFSPA but will be ignored by the ministry of defence. Their role, as the establishment prefers it, is to keep up the anticipatory atmospherics of a solution by calling for autonomy or self-rule, improved India-Pakistan ties and talks with separatists while the agencies and security forces proceed with their machinations. Mainstream parties, to be sure, have been struggling with weak legitimacy for years now but at least they had the assurance of being outcomes of a democratic process. Now that justification is gone and with it the political order that Delhi has established appears passé, as angry youth, men and women, refuse to engage with it. The Valley is seething – the deaths of teenagers and the presence of those blinded by pellet guns are a constant spur to maintain political purity and distance from India and those working for its institutions. One can infer from all this that the counter-insurgency tactics preferred by national security adviser Ajit Doval continue to hold sway in the halls of government. The key elements of the Doval doctrine (as discussed elsewhere) suggest that India must not back down in the face of “totally murderous” stone-pelting attacks, that security forces are “totally justified” in using the force they do and that India’s objective must be to change the “mindset” of Pakistan and Kashmir through the exercise of power. The idea is to establish full territorial dominance in Kashmir by quashing protests so that Pakistan comes to terms with India’s resolve and separatists renounce links with Islamabad. Another crucial element of the Doval doctrine is the assumption that mainstream parties in Kashmir work at cross-purposes with Delhi. An objective of state policy, according to him, should be to prevent Kashmiris from airing their grievances about jobs and development in political terms. Mainstream parties stand in the way of this objective because they talk of autonomy and self-rule and thus turn the minds of Kashmiris towards political questions, which Delhi should not encourage. The NSA has argued that mainstream parties talk up the power of the separatists to extract concessions from Delhi but that they also do not provide political cover to India when Delhi needs it. They can in effect “loot and scoot” with Delhi’s money because central institutions have no remit in Kashmir owing to its special status in the Constitution. 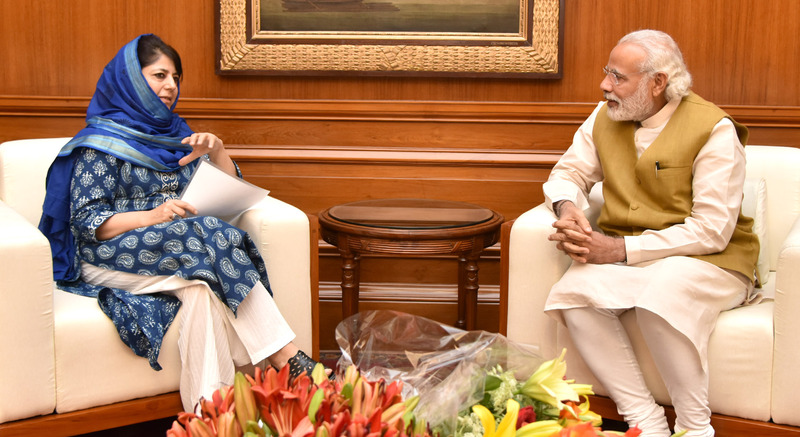 The Modi government evidently wants a new approach and has settled on a policy that combines (a) harsh crackdowns on agitating youth (b) initiatives that undermine mainstream parties, notwithstanding the PDP-BJP alliance, and (c) taking Kashmir out of the India-Pakistan equation. The last two elements have been achieved to a significant extent; what remains is the act of disciplining Kashmir, which we are likely to see more of in times ahead. If Kashmir endured the hypocrisy of the Congress years it is now having to live with the consequence of being central to the project of turning India into a majoritarian state. The success of such an approach is not a given; nationalist sentiment is rarely snuffed out by purely military force but Delhi will be “compelled” to stick with the policy as protests continue. Such a policy also has its political uses, since the flawed counterinsurgency strategy — and the reactions it will generate in the Valley and in Delhi by way of charged media narratives – also neatly dovetails with the BJP’s goal of polarising India on religious lines. In other words, Kashmiris will continue to resist, influential sections of the Indian media will continue to represent them as saboteurs inspired by Pakistan in ways that rallies support for the BJP’s strong-arm tactics, while glossing over the shooting of unarmed civilians. The up and down cycles of civilian uprisings in Kashmir will thus serve to periodically infuse nationalist sentiment in India’s body politic. All this means that the source of legitimacy for the Indian state in Kashmir has now changed. It used to be about international recognition of the electoral process in J&K; now it is about disciplining the Valley for internal audiences and setting the stage for assimilationist endeavours in the future. India has little need to bother with international reactions as it buys weapons and offers market access so that countries dare not offer opinions on Kashmir. If Kashmir endured the hypocrisy of the Congress years it is now having to live with the consequence of being central to the project of turning India into a majoritarian state.